HOLYOKE: Cornelius (Neil) J. Sullivan, age 95, passed away peacefully with his family by his side, on Sunday, February 10, 2019, after a brief illness. Neil was born in Holyoke, son of the late Cornelius C. and Bertha Sullivan. 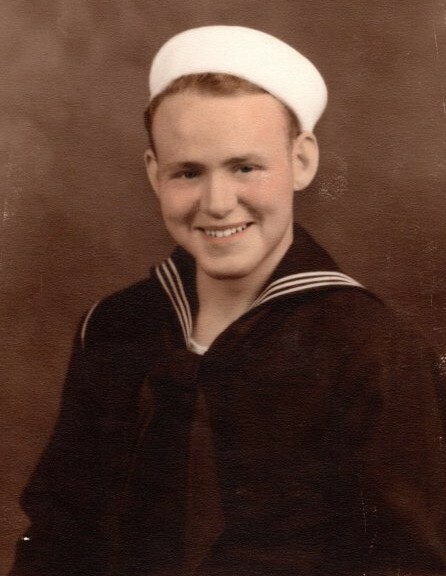 He was a U.S. Navy Veteran of World War II, proudly serving his country aboard the U.S.S. Sway. 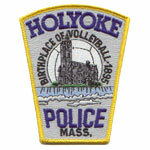 He was a Holyoke Police Officer who served until his retirement in 1983. Neil was a lifelong communicant of Blessed Sacrament Church. He was a member of the Massachusetts Police Association and a life member of the Holyoke Lodge of Elks #902. For years, the highlight of his day was picking Haley & Meghan up after school. He also enjoyed working on his crossword puzzles, reading the newspaper and working in the yard. Neil was predeceased by his wife, Doris Mullen Sullivan; a brother, Charles Sullivan and his wife Rena; a sister Katherine Gilboy and her husband James. He leaves behind his son Robert and wife Elizabeth of Easthampton, MA and his daughter Carol Parent of Bradenton, FL; four grandchildren, Haley and Meghan Sullivan of Easthampton, MA, Katherine DiLascia and her husband Daryle of Greenwich, CT, and Eric Parent of Greenwich, CT; five great-grandchildren, his beloved sister Mary Sullivan Feyre, as well as many nieces and nephews. The family would like to thank Neil’s sister Mary and nephews John Feyre and Jim Gilboy as well as his special neighbors from Woodland Street who always watched out for him. They would also like to thank the doctors and nurses at Holyoke Medical Center and Holyoke VNA for their compassionate care in his final days. The funeral will be held on Saturday, February 16th at 9am from the Barry J. Farrell Funeral Home, 2049 Northampton Street, Holyoke, followed by a Mass of Christian Burial at 10am in Blessed Sacrament Church. Burial will follow in Calvary Cemetery. Calling hours will be held on Friday from 4:00 to 7:00pm. Memorial contributions in Neil’s name may be made to the charity of one’s choice.